Wyatt Wolf is a warrior, a man without fear. At least that’s the picture he presents to the members of his Navy SEAL team. He’s a stone-cold killer with a reputation as a woman magnet who needs no one. But appearances can be deceiving. Inside Wyatt is a man torn by love and betrayal. His only need, his one weakness—Chance—a woman from his past he can never have, can never trust. 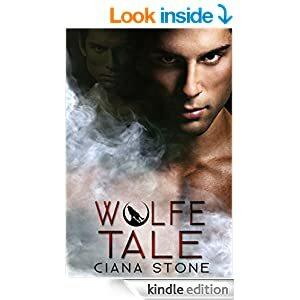 Wyatt will be forced to see her and face the old feelings that have haunted him for years, because something inside him, an entity of violence and lust, is fighting for control of his mind. And his only chance of survival depends on a love that will be pushed to the very edge.